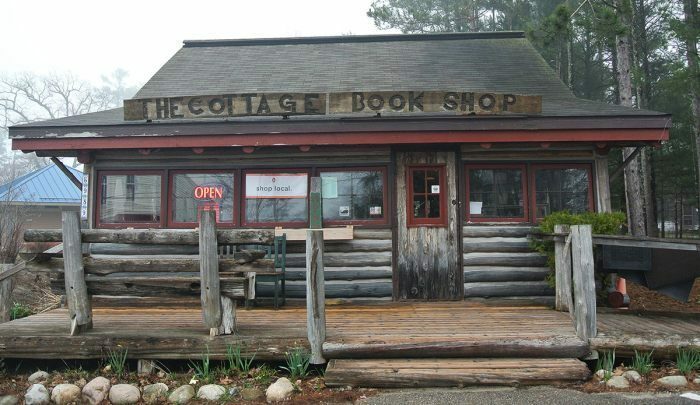 In 1985, Mollie Weeks, wife of George Weeks, well-known history writer and political columnist, opened the Cottage Book Shop as a used bookstore in a cottage behind the Glen Arbor Bed and Breakfast. After 10 years she sold it to Barbara Siepker who purchased a summer log cabin a mile away on Glen Lake in 1998 that had been build in the early 1920s by D.D. Day's nephew, Larry Day. The cabin was moved intact including the bark on the cedar logs, and flowers in the flower boxes to its present location and restored as the Cottage Book Shop with the original rooms and enclosed porches providing cozy natural locations for its book selections of regional, children, fiction, architectural, history and indie commerce bestsellers. In April of 2014, the store changed hands when Barbara sold the store to Sue Boucher who moved to Glen Arbor in October 2013 after having visited the area with her family for 20 years. Tuesday-Saturday: 11 a.m. to 4 p.m.
Sunday: Noon - 4 a.m.